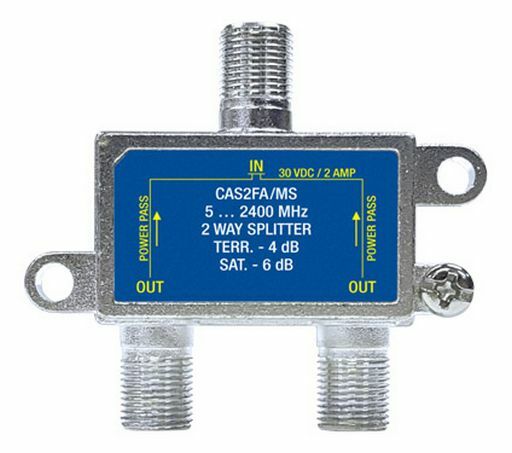 The CAS2FA/MS 2 way splitter is designed for the entire terrestrial & satellite bands from 5 to 2400 MHz. 2A rated. Suits "F" type connectors. Foxtel Approved F30984. Power pass all ports.